let others call their’s tracks! Harrel-RS is the consequent completion of a toy that has remained almost unchanged for more than 50 years. This modular slot-car motorway that no longer belongs in the children’s room, is designed for professional use. Harrel-RS sets new standards in slot car racing. 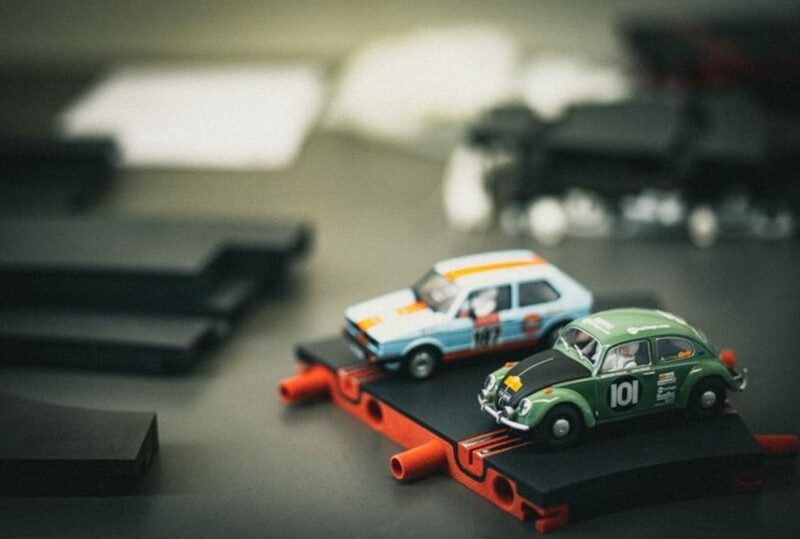 For car fans, racing drivers, slot car clubs, childhood dreamers and lovers of beautiful things. Harrel-RacingStandard offers the perfect road for all those who want to really take off. Harrel-RS introduces the ultimate modular slot car road to the market. Durable, unbreakable, torsion-resistant, sociable and compatible with common slot-car products. Commercially available controllers and power supplies can be connected for control. The special design makes the Harrel-RS modules extremely conductive, no additional power supplies are required, even for longer distances. The special designed connections of the road sections create a stable unit that does not twist. 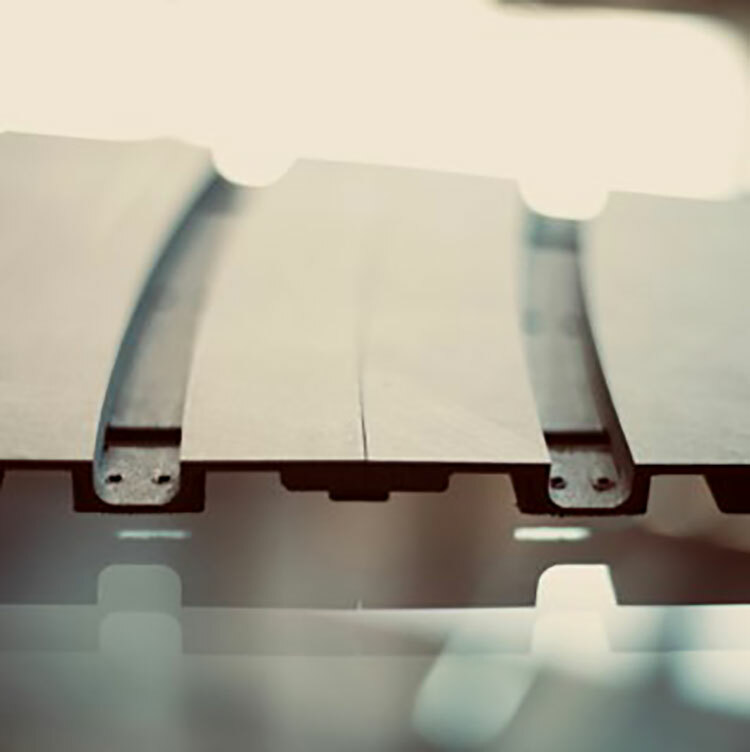 Harrel-RS promises lasting driving pleasure on both an extremely stable and, at the same time, highly flexible track. 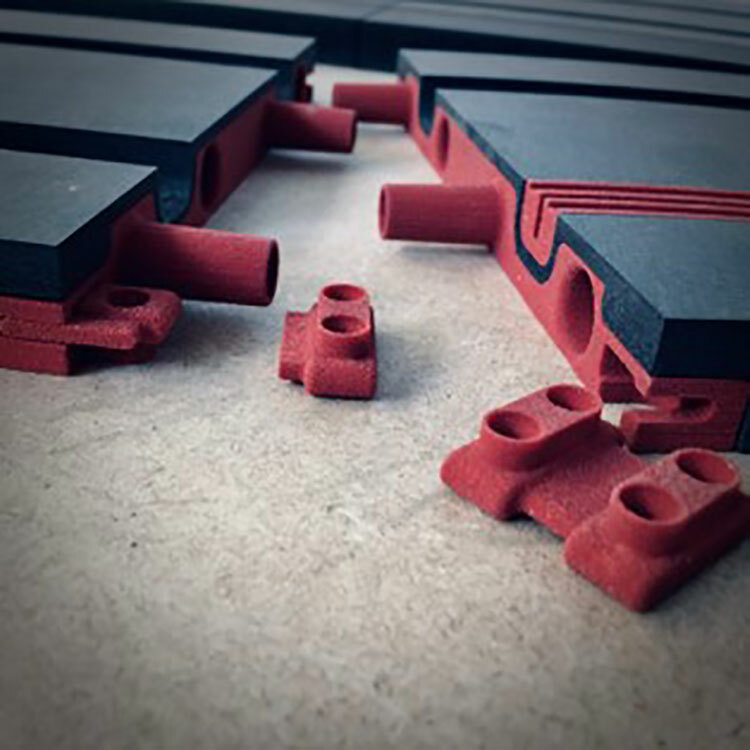 The road modules are a composite of wood (MDF), plastic and metal. 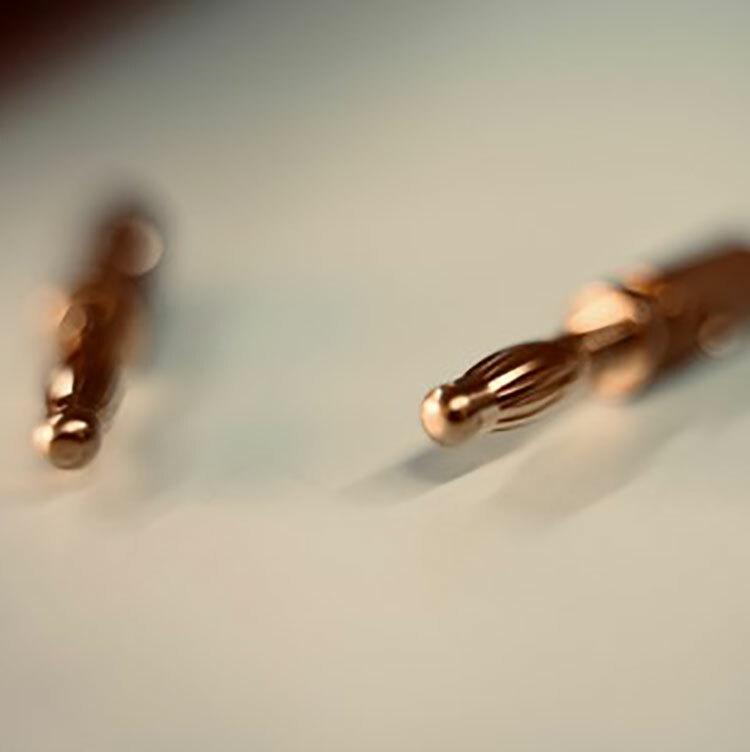 The sophisticated design promises optimum connectivity between the parts, high conductivity with minimum contact resistance and longevity over generations. Harrel-RS road modules have the same the size of common suppliers on a scale of 1:24, making the track ready for all slot cars on a scale of 1:24 and 1:32. An adapter module makes Harrel-RacingStandard compatible with track parts from market leader Carrera. This will make access to Harrel-RacingStandard much easier for SlotCar enthusiasts. Harrel-RS finds itself on the home stretch. After more than ten years of research and development, the right partners have been found and the manufacturing processes have been set in motion. What comes next is fine-tuning. 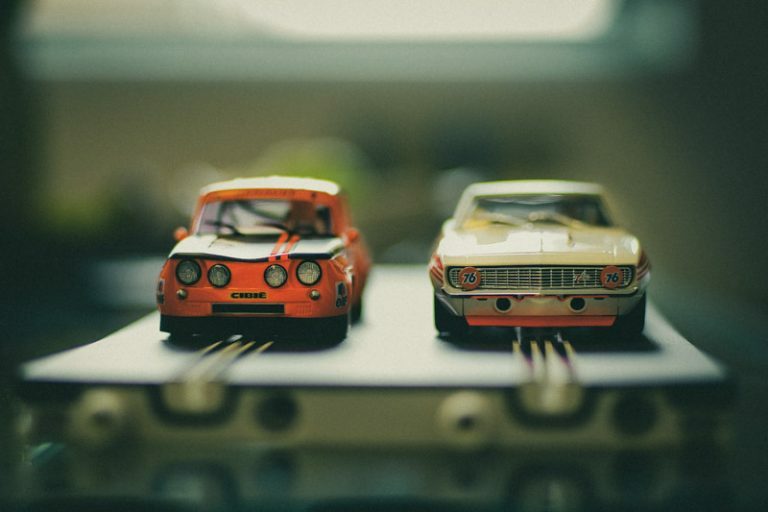 We invite all slot car fans – and those who wish to become fans – to experience the last few meters with us. In our news blog “Home Stretch”, on Facebook, YouTube, Instagram, you can watch us as we race towards the finish line. It’s worth reading! Be part of the Harrel Story! Subscribe to the HARREL RS Newsletter and don't miss any news.